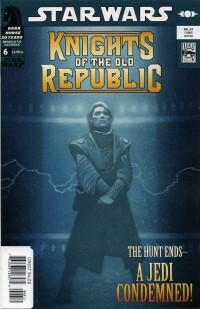 In honor of the rerelease by Marvel of the Star Wars: Knights of the Old Republic comics, I'm revising and updating my production notes here on what I hope will be a weekly basis. You can get Star Wars Legends Epic Collection: The Old Republic Vol. 1 from your local comic shop, from Things from Another World or from Amazon. The Old Republic Epic Collections are in stock again at my shop, and you can purchase signed copies directly while supplies last. Story licensed and © Lucasfilm Ltd.
As with all my “production notes,” consider a “Spoiler Warning” attached. Please read the books first. 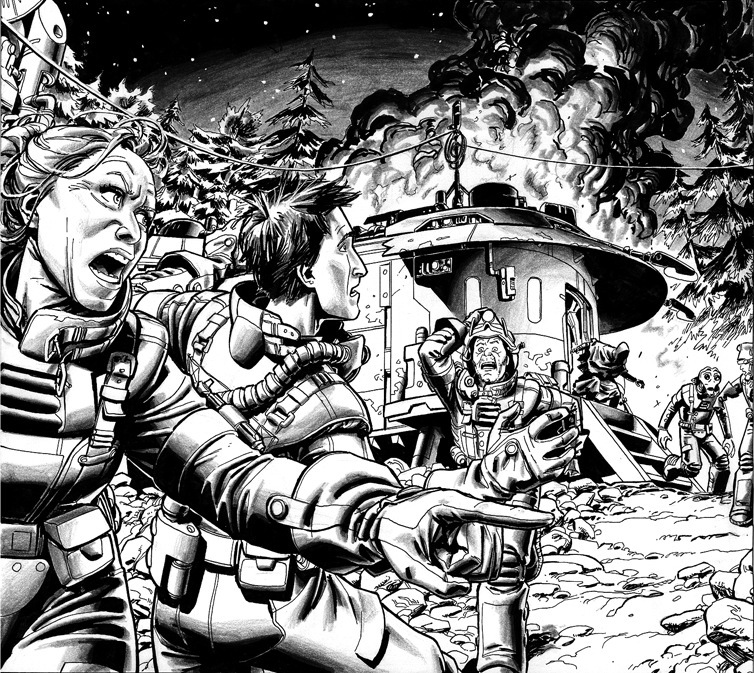 Issue #8 brought us our first heavy-duty space battles – rendered wonderfully by the detail-minded Dustin Weaver. The care such detail required – plus unrelated scheduling issues -- resulted in a slight delay to the issue's release, but the final result was worth it. One of the things starting earlier than the Knights of the Old Republic games allowed us to do is delve more into how the Mandalorian War on the Republic actually started. There is, of course, discussion of it in the games as a blitzkrieg taking the Republic off-guard. But it left another element to be explored, which gave us a chance to elaborate further on the war’s start: the political status of Taris. This element allowed us to make Zayne’s escape from his masters an event with galactic consequences. It also allowed us to make the Mandalorian blitzkrieg a bigger surprise than it otherwise might have been for gamers familiar with the history. Where the wars against non-Republic worlds had been going for some years, if you listen to commentators in the game, you might expect the surprise invasion for 3963 BBY, a year after the date given for the beginning of comics series. Yet we showed the Republic and Mandalorians already at odds -- and we showed Tarisians and Jedi both feeling they’re at war. And everyone is right! How? As we’ve seen time and again in history, “war” is a bit of a relative term – and whether or not you think you’re at war often depends on where you live and what’s happening to you. The alliance with Poland caused Britain and France to declare war on Germany in early September of 1939 – but until the middle of the next year, most of the action between them and Germany came in more remote theaters, such as Africa, Norway, and on the Atlantic. After the sudden invasion of France and the Low Countries in 1940, the reality of war was brought home – literally. The U.S., of course, isn’t technically at war until December 1941 – even though it’s clearly chosen sides long before that, through Lend-Lease and airmen volunteering to fly for Claire Chennault in China. So there’s war, and then there’s war – and there’s something like that going on here. People on Taris, near the frontier where #0 established that the Republic and Mandalorians have been quibbling inconsequentially for more than a year, feel they’re at war. Regular folk on Coruscant? Not so much. What results is a more nuanced picture for those looking to put events into a simple timeline – as with a lot of Earthly wars, there’s more than one starting date. There’s when the Mandalorians started attacking non-Republic worlds; there’s when the Republic intervened in one of those attacks; and, now, when the Mandalorians attacked the Republic in full force. We would later call this period "The False War" when it came time to do the Knights of the Old Republic Campaign Guide. • Jarael's shockstaff from #3 makes a reappearance; eagle-eyed readers will note that she didn’t have it with her in #7. 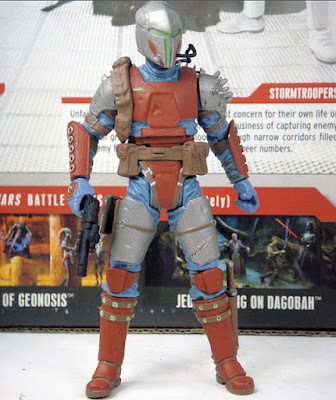 It delivers a nasty shock to flesh, and evidently has some quite visible effects on Mandalorian armor. • Saul Karath’s colossal battleship, Courageous, comes by its name through a trivial route so obscure I won’t expect anyone to figure it out. The older Karath’s video-game vessel, the Leviathan, hearkens back to the Royal Navy vessel class of the same name. 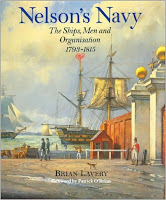 According to Nelson’s Navy, four ships of the 74-gun Leviathan class were based on the design for the Courageaux, a French ship captured in 1761. The Star Wars Leviathan is NOT the same class as the Courageous, so there the resemblance ends. • Readers with the Star Wars Galaxy Map that Dark Horse released in that era noticed that Vanquo is pretty much directly between Mandalore and Taris. We speak of it being along the Jebble-Vanquo-Tarnith line in #0; those other two places are not on the map, but we can assume they’re nearby. • The American versions of this issue had a Science Fiction Book Club insert in the centerspread. • Flashpoint, with its incredibly short days and close proximity to its sun, is clearly a very new arrival in its solar system – at least from the standpoint of astrophysics. It’s in the manner of smaller bodies (including our own Moon) to eventually become tidally locked with the larger ones, such that the rotational and orbital periods synch up. Flashpoint, therefore, is either just-formed or a fresh arrival – making it an unusual and attractive object for academic study. As time goes on, its sidereal days will lengthen to approach its year in length – if its sun doesn’t engulf it first! • The name of Rohlan (ROH-lan) is partially inspired by the similarly sounding name of another warrior, the paladin of Charlemagne. Demagol (de-muh-GOL) just sounds evil! • Ulic Qel-Droma, of course, is an important figure in the Tales of the Jedi comics. 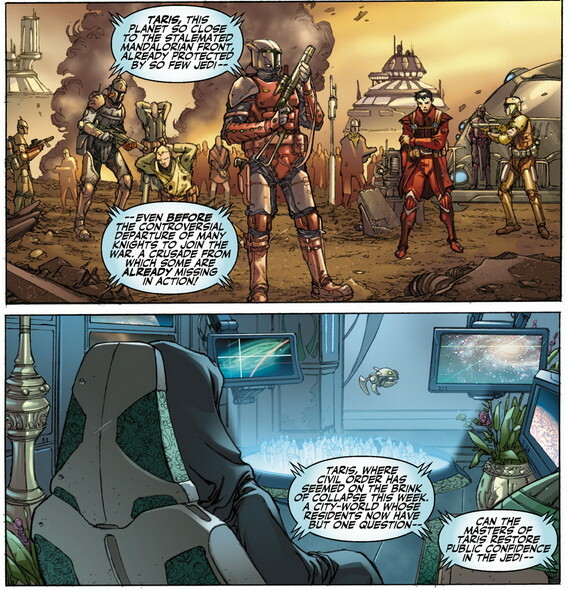 • A couple of “we’ll-fix-it-in-the-trade” moments in one panel, though only a handful may notice the Mandalorian word “manda” where it should’ve been “mando’ade.” But my favorite typo ever may be Rohlan speaking of “border skirmishes here, police auctions there.” That’s “actions,” of course. Can you imagine a guy in a suit of armor bidding on an impounded Chevy Nova? Next time: A sudden detour, as "Flashpoint" pauses for an unscheduled trip to Coruscant. Or you can skip ahead and read all the notes for the series, though they're only updated up through this issue. 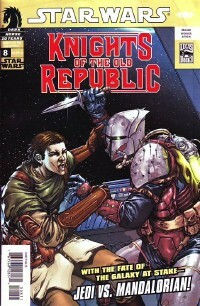 With "Flashpoint," the Knights of the Old Republic story advanced several weeks to follow the flight of Zayne and crew. We had established that the Republic and the Mandalorians had been bogged down in struggles over planets near Taris -- and how that exactly fits into the game-established history will finally be revealed later in this storyline -- so heading for the frontier might have seemed a logical move for a fugitive. Not so, as it turns out, since what Zayne (and, indeed, the whole Republic) thought was going on wasn't the whole picture. 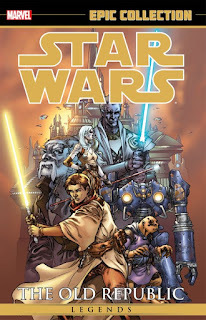 Dustin Weaver, who had previously drawn KOTOR-era stories for Star Wars Tales, joined the team this issue, not as a fill-in artist but rather as the artist who would be alternating story arcs with Brian Ching, who drew the cover. There was communication between the two of them behind the scenes, just to get everything right. This is the first issue without the Masters present -- apart from a mention of Lucien -- and it was absolutely my intention to shift gears immediately after "Commencement." The Mandalorian conflict was always sort of in the background of "Commencement" -- now, Zayne's problems on Taris sort of haunt the background here. We got to do quite a bit with the Mandalorians of this era, of course -- how could we NOT do the giant double-page "Mandlorians Attack" spread? While it wasn't my intention to make broad statements about the Mandalorians (at least, not in this issue), we can notice a few things. 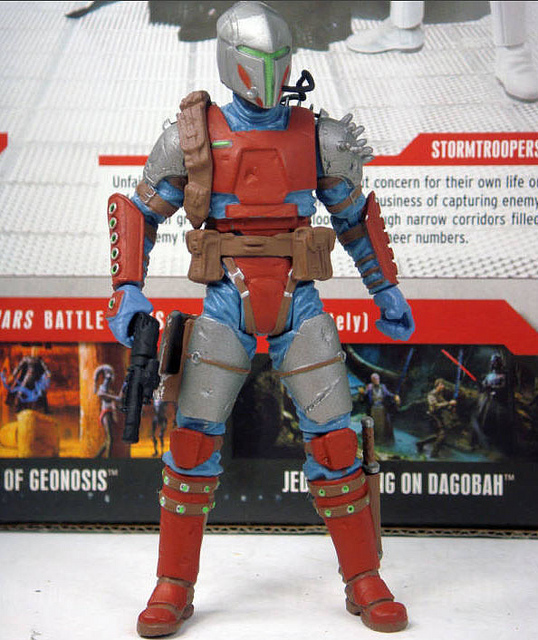 We have a number of Mandalorians of different species popping up -- logical, due to the influx of new recruits following many years of battles against worlds outside the Republic. That also poses certain issues for them, logistically. We generally expect a looser command structure with nomads -- and that is present here -- though the mixing of so many new recruits with veterans makes a certain amount of ad-hocracy desirable just to keep things functional. Note the "commander" term used with Rohlan here, relating to his role with the shock troopers. We'd probably actually figure out that he was the point man, whether we heard the name or not -- but when you're dealing with an invasion force of a certain size, there's a point at which too much operational autonomy becomes self-defeating. I recall the wonderful scene in The Longest Day with the shillelagh-wielding officer on Sword Beach, directing traffic because all the invading units are almost stumbling across each other! And while we don't hear any phrases in #7 because none of them really say much, the intermingling of so many new troops, not all of which speak Basic, also suggests a logical role for phrases from the Mandalorian language. Apart from any cultural traditions, there could be some operational value in a variegated force having something like the "thieves' cant" from D&D -- if only to make sure that soldier from species X doesn't accidentally shoot the soldier from species Y.
I was pleased to give more time to Elbee, who I had hoped to develop further in "Commencement" (until I decided to commit more pages to the Masters' vision, which seems like the right call). It should be pretty clear from #7 what kind of a mess he actually is. The higher-order processing unit Camper grafted to his basic brain made him smarter than he was, but he's still emotionally a two-year-old -- and haunted by the vague notion that his former master did something to do him in. Of course, a two-year-old with the body of a tractor can throw a pretty big tantrum! There are a lot of small touches you may not immediately notice. Michael Atiyeh and Dustin Weaver went back and added views of miners on the monitors in the control room. Many were covered by lettering, but it adds to the feel of the scene. In all, this remains one of my favorite issues; it said everything you needed to know about the characters, and got the action rolling. • An unsettling bit of synchronicity: While I had actually plotted the sequence with the mining camp months before, when I got around to scripting the sequence, it was right during the Sago mining disaster. It was all I could do not to make the miners here seem more heroic. • It is indeed Jarael's second time playing a Jedi -- in two issues, actually, and both times with Zayne's lightsaber. The kid has got to learn to stop loaning it out! • Now it can be told: part of the inspiration for Elbee's name, beyond "loader-bulk," was that it recalled to me the great old Herman Melville story of the recalcitrant worker, Bartleby the Scrivener. It's a very remote connection, but you might see something familiar in the character whose response to every request was "I would prefer not to..."
• The industrial mining charges look a bit like the ones Han Solo used on Endor. I guess a bomb is a bomb is a bomb! • One of the things that impresses me most about Dustin Weaver's work is how he handles the setting and terrain. He includes little details like track-marks from the pallet-droid and the other mining vehicles. I didn't provide him with a map of the pursuit up the mountainside, but I feel like he gave me one in this issue! • U.S. versions of this issue had a Science Fiction Book Club insert stapled in the centerspread; it's just as well the double-page spread wasn't there! • Did you notice that, in his haste, Zayne gives the wrong command to Elbee? "Cargo: Human, to the loading ramp" might well have resulted in Elbee grabbing him, since he's the only human in immediate view. Of course, Elbee didn't carry out the instruction anyway, and even then we have to wonder whether Elbee's capable of distinguising between a human and an Arkanian (or, in fact, Camper's version of Arkanian, about which more is coming soon). • I like the fact that General Motors decided to add a remote starter around the same time we learned that the Last Resort had one. Wonder if Camper can also turn off the car alarm from outside? Next time: We continue the second story arc, "Flashpoint," with our first look at Demagol. Or you can skip ahead and read all the notes for the series, though they're only updated up through this issue. • In #2, Zayne’s conversations with Gryph are full of denial over what has happened to him. • In #3, Zayne reacts with anger – he’s pretty much a jerk to the whole world this issue. • #4 is about bargaining – his own, with Vandar. • #5 takes Zayne into depression, where he’s rapt with hopelessness. • And finally, beginning with the last page of #5 and leading into #6, Zayne finally arrives at acceptance. A horrible thing has happened to his life, and there’s no way back to what existed before. But he’s in a different place psychologically now, and while his choice of how to cope may not necessarily be the wisest one, it is a step in a new direction. There aren’t subchapter titles in the series, but if there were, you might not do better than the five stages (plus “Death” or "Loss" for #1). The door closed here on the possibility that Zayne committed the murders himself – a scenario that was only really raised in #4, when Zayne was at his lowest point. I always intended to hold that out there earlier as one of the possibilities, but it really only fit with the conversation with Vandar. I’m not sure Zayne was actually miserable enough yet in the earlier issues to take such a thing seriously. Importantly, we finally got into the room at the time of the crime. Initially, I had considered only dealing with this in dialogue – but there’s plenty of exposition already (and we already needed Valius Ying’s comic relief to help us go along). Instead, I had realized that, by this point, readers really deserved to see what happened and how it happened, just as much as Zayne did. It also allowed me to explore this wonderful irony – that Zayne’s incompetence had doubly saved his life. It’s not just that if he hadn’t been late chasing Gryph, he would have been present for the murders; it’s that the topic of his incompetence caused the Masters to act moments sooner than they intended to. A lot of attention went into finding the exact tone for scenes – not simply in what happens, but with regard to individual words. Q’Anilia’s reference to Zayne as “boy” introduced a sharpness to her that we haven’t seen – but which is appropriate for what she’s involved in and what she’s just been through. Lucien’s calm and serious tone throughout, rather, is right in line with what we’ve always known about him – up until when he gets his big surprise from above. It’s a new tone from Zayne, and I fully expected it to prompt a lot of discussion on what it meant. Righteous indignation? Bluff? A tilt toward the Dark Side? Was there a vision, or wasn’t there? Those fan discussions did take place — and they would continue until I provided the answer three years later in "Vindication." All told, this issue was a most satisfying way to conclude what remains one of my favorite arcs. Thanks again to Jeremy, Dave, Brian, Michael, Michael, Travel, Travis, Randy and everyone else who helped make it happen! • The opening page flashes past a number of important settings, though we didn't elaborate on them at the time. We didn’t even want to put locator captions on them (though the top panel is clearly Dantooine). 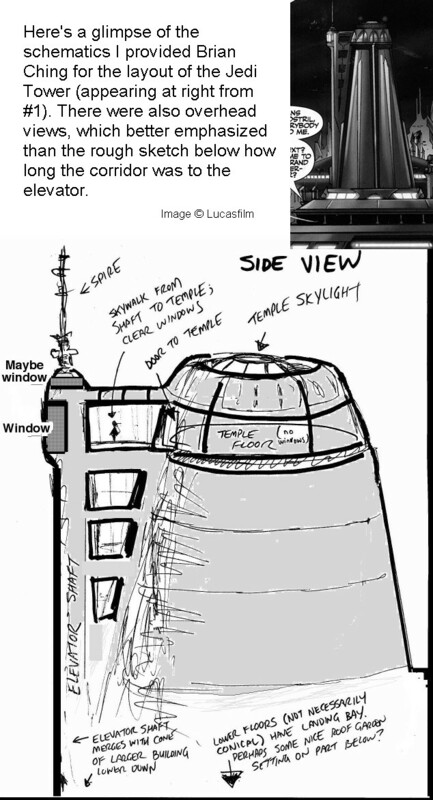 • In the Mandalorian panel on page one, we get our first look at Rohlan Dyre — and in the panel beneath, that's Haazen, sitting in the Draay compound on Coruscant. We'd meet them both over the next few issues. • Got to love the fish-bowl guy at the far left of the opening spread! • There are two scenes from this issue that were visually echoed in several later sequences in the series: the perp walk at the beginning, and Jarael's crash landing. • Keep a count on the number of lightsabers in the stands throughout the present-day scene and the flashback. It’s always correct – kudos to Brian Ching for his attention to detail! • For Valius’ design, I suggested to Travel Foreman and Brian Ching that we come up with an alien Tony Soprano – a gangleader who’s somewhat full of himself and only later realizes he’s in over his head. • Jedi Masters apparently actually do wear their lightsabers during the knighting of Padawans in some ceremonies, which fits very nicely with the events of this issue. • Shad Jelavan’s last name, previously established in the Taris Holofeed in #0, was misspelled in the comic book. It was corrected for the trade. • At right you can get a look at some of the schematics I sent Brian Ching in the very beginning for the Jedi Tower – because everything, from the death scene in #1 to the escape scene in #2 to the second escape scene in #6, had to be situated with the action in mind. Once again, it’s a great thing that he’s the artist, and not me! • The rest of the Padawans talk, finally – and I’m glad I got to name them in the Holofeed, because it really didn’t work to slow down and identify them here. 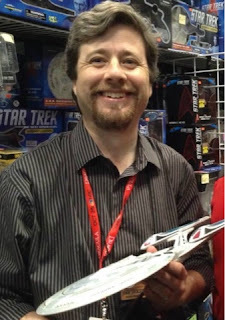 • Exar Kun gave us another solid connection to the Tales of the Jedi comic books. The series was be working backwards, as well as forwards. • I wonder how many people noticed that we planted the red spacesuit in the hold of the Last Resort in #4. Gryph buried under suits seemed like a throwaway gag then – but instead, established that they happened to have the exact suit necessary. Zayne refers to it in #5, even. • I was a big fan of using the sound effect DDDDOOOOMMMM!!!! in the right places. That’s a holdover from seeing letterer John Workman use it in the Thor days. • In the original version of the panel where Lucien begins to look up toward the skylight, we had Jarael plummeting downward on her suit-thrusters, just out of Lucien’s view. We decided it was better to preserve the mechanics of what was actually happening until after the masters got their big surprise – and adjusted the scene to just show glints of light from the skylight above. • Brian’s picture of Jarael on the bottom of page 17 is one of my favorite drawings of her in the series. • It was important to me to have Elbee standing behind Zayne, looking at Lucien, at the very end. Elbee didn’t get much to do in this issue, but that would change later on. • This issue would later be reprinted as part of the Entertainment Earth exclusive Comic Pack action figure set with both Rohlan and Jarael in it; good thing Rohlan appears in one panel this issue. If you find a copy of the comic book with no cover price, that's what you're looking at. Next time: We begin the second story arc, "Flashpoint." Or you can skip ahead and read all the notes for the series, though they're only updated up through this issue. 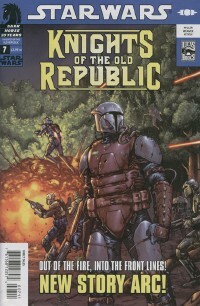 In honor of the rerelease by Marvel of the Star Wars: Knights of the Old Republic comics, I'm revising and updating my production notes here on what I hope will be a weekly basis. You can get Star Wars Legends Epic Collection: The Old Republic Vol. 1 from your local comic shop, from Things from Another World or from Amazon. You can also purchase signed copies directly from my shop while supplies last. This issue has always looked different from the rest of "Commencement," and for good reason -- as it featured the work of fill-in artist Travel Foreman, helping us to keep the series on schedule. 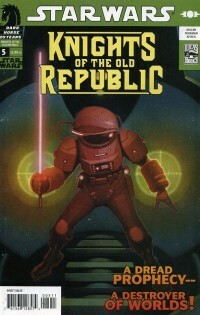 The scheduling problem that cropped up was my doing, essentially – in that I came up with the suggestion to do the promotional comic Knights of the Old Republic/Rebellion #0 after we were already midstream into the production of the monthly series. Brian Ching very quickly shifted gears from the middle of “Commencement” to work on “Crossroads,” but the time involved necessitated bringing a guest artist in for #5. Fill-in art is a fact of life in comics, going back to the beginning. As of the release of this issue, I hadn’t yet done a six-issue stretch with an artist that didn’t need at least a fill-in inker (as in the case of Jorge Lucas in Iron Man #76) to help out for one reason or another. Travel stepped in and made the save – and in the end, the issue came out right on time. I toyed with depicting exactly what Elbee would see – and what Gryph referred to seeing in the hologram: namely, the Masters running around swinging at the air, responding to what they were seeing in their vision. But we had already done a POV trick going from the hologram to the flashback – and I figured going in one more level would give readers a chance to see something of what the Masters were concerned about. Seeing the final scene of this issue in print reminded me of a comics scene I hadn’t looked a quarter of a century. Way back in X-Men #114, Storm accuses Cyclops of not having really loved Jean Grey because of his inability to mourn for her; she turns her back on him and walks away, leaving him speechless. The dialogue and contexts here are completely different – and of course, this scene ends differently – but I have to say I learned a lot about comics drama from reading Chris Claremont, so if there’s a little subconscious inspiration there, so be it. I’m pleased to have that nod to him in my work. • There’s no one on board the Taris police carrierwhen it’s shot down; as the lieutenant says, it’s in hover mode, waiting for them. (As Zayne says, “I didn’t kill anyone before, and I’m not going to now.”) I figured with the gravities involved, it was probably unneccessary for the ship to make landfall on the Rogue Moon. • That’s a magnetic suction tube – as seen in Episodes IV and VI -- that the Last Resort uses to grab the Elbee parts from the surface – and to quickly re-embark Zayne and Jarael. I figured if there was ever any piece of equipment a junk-hauler would have, it’s that! • Camper doesn’t do much mad-mumbling, as I call it, this issue – he’s pretty focused on the task at hand. For him, that is! • Raana Tey has to have an extra-large helmet for those horns of hers, doesn’t she? • People had been waiting to see a little trademark Snivvian moodiness from Gryph; this was their chance. • While this issue went on sale in the United States in June, it was actually considered a May-shipping issue. Memorial Day shifted new comic-book day one day later in the States in 2006. Next week: We're on to the story behind the final chapter of "Commencement." Or you can skip ahead and read all the notes for the series, though they're only updated up through this issue.